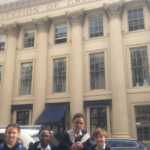 We were delighted to send a delegation of year 5 pupils to the very first GDST Junior Science Conference yesterday. 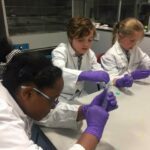 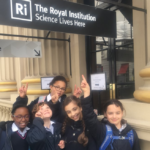 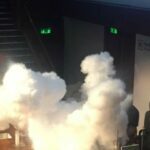 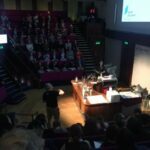 Held at the Royal Institution in Green Park, the event was attended by each of the twenty five GDST schools and was designed to inspire, challenge and promote scientists of the future. 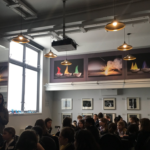 During the course of the day, the girls had the opportunity to listen to lectures in the very same lecture as Micheal Faraday used to present his new discoveries and from where the Christmas Lectures are broadcast! 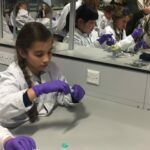 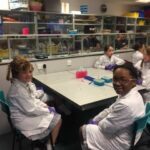 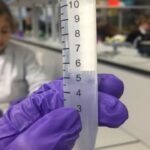 They also attended seminars and workshops all about the DNA, chromosomes and genes, as well as taking the opportunity to try a little bit of lab work for themselves. 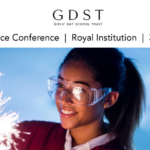 It was a wonderful event which made us all feel very proud to be part of the GDST family.